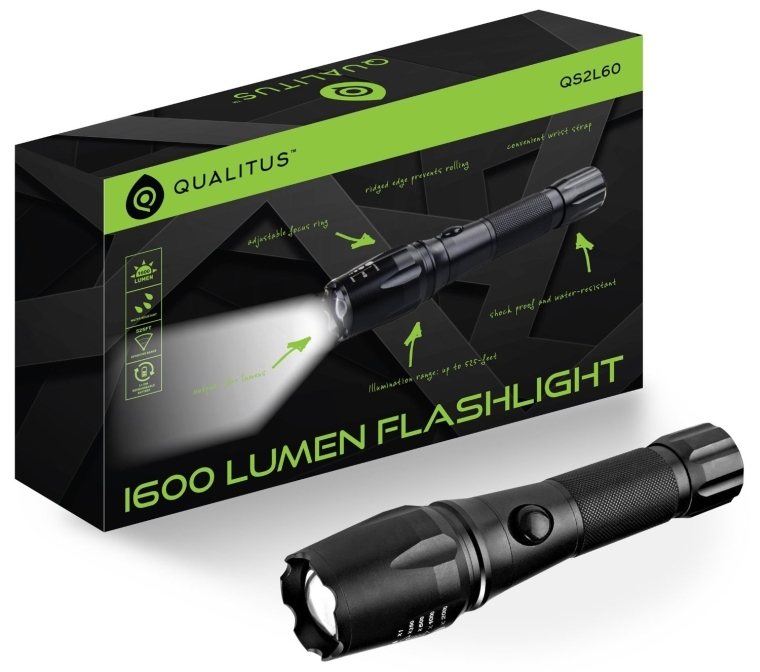 High Powered Ultra Bright – With an impressive 1600 lumens of LED power you’ll never be left in the dark. Durable Lightweight Construction – Durable Aeronautic Aluminum for waterproof and shockproof toughness. Extra Long Range – A beam range of 525 ft pierces the dark further than others. Rechargeable – Two rechargeable batteries and charger are included.